The United States Air Force says it has taken unprecedented action by firing nine nuclear missile base commanders on Thursday amid an ongoing and exhaustive investigation surrounding allegations of cheating. Dozens of additional employees described as junior officers at those bases will be disciplined as well, the Associated Press reported first on Thursday afternoon, and will join an ever-expanding list of Air Force personnel who have been reprimanded in recent months as part of an embarrassing scandal that has increasingly generated criticism directed at the Pentagon’s nuke program. “None of the nine fired commanders was directly involved in the cheating, but each was determined to have failed in his or her leadership responsibilities,” Robert Burns wrote for the AP. According to Burns, a defense official who spoke on condition of anonymity told the AP that Air Force investigators believe the cheating scandal started as early as November 2011 and continued for two years. “It involved unauthorized passing of answers to exams designed to test missile launch officers’ proficiency in handling ‘emergency war orders,’ which are messages involving the targeting and launching of missiles,” Burns learned from his confidential source. 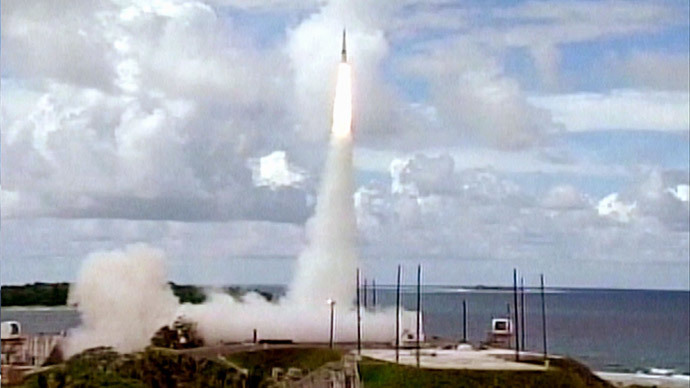 This past January, the Air Force said that 34 missile launch officers were implicated in the cheating scandal and stripped of their security clearances, though they may not have necessarily faked their way through their own exams. According to the AP’s latest however, upwards of 100 missile launch crew members from a single facility — the Malmstrom Air Force Base in the state of Montana — were at one point or another linked to the scandal. “Some officers did it. Others apparently knew about it, and it appears that they did nothing, or at least not enough, to stop it or to report it,” Air Force Secretary Deborah Lee James said at a news conference earlier this year. Now two months later, on Thursday the Air Force reportedly took action against a number of officials linked to the scandal by investigators, including Col. Robert Stanley, the commander of the 341st Missile Wing at Malmstrom. “Also sacked were the commander and deputy commander of the 341st Operations Group, which oversees all three missile squadrons as well as a helicopter unit and a support squadron responsible for administering monthly proficiency tests to Malmstrom’s launch crews and evaluating their performance,” Burns claimed. Members of all three missile squadrons were implicated, he added, although no generals were formally punished. This week’s news is only the latest to stir up the Air Force’s nuke unit, which for months now has repeatedly come under fire due to a barrage of incidents. The Pentagon removed 17 of its officers from a base in North Dakota last year following a poor inspection rating, and last October it was reported that two US missile technicians assigned with launch keys were discovered repeatedly leaving a blast door open while sleeping on base.